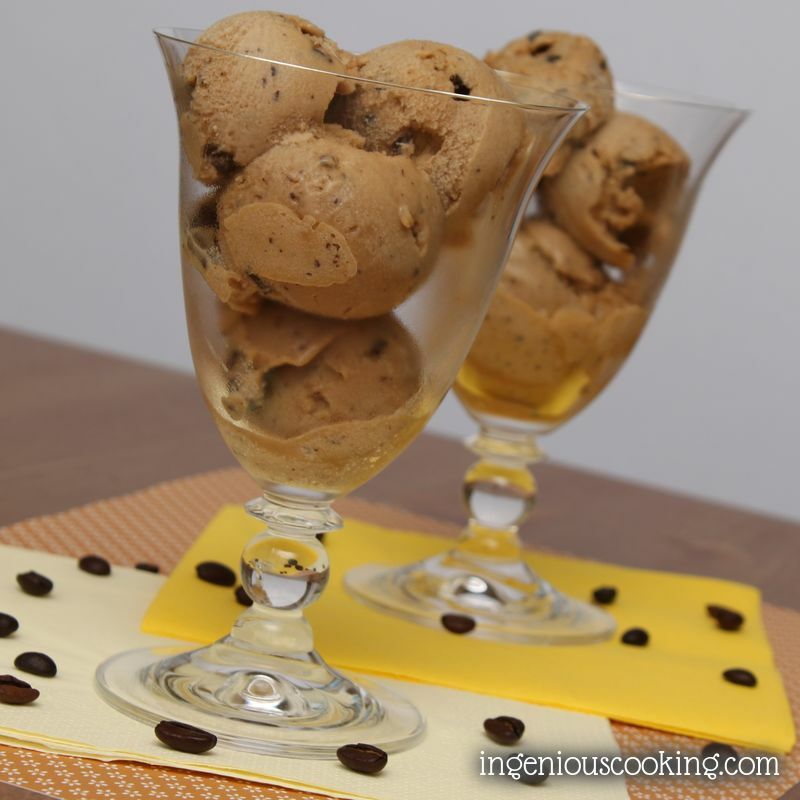 I know that not everyone has place for an ice cream machine on the kitchen shelf, or the time and patience cook, mix, cool and freeze a classic ice cream. 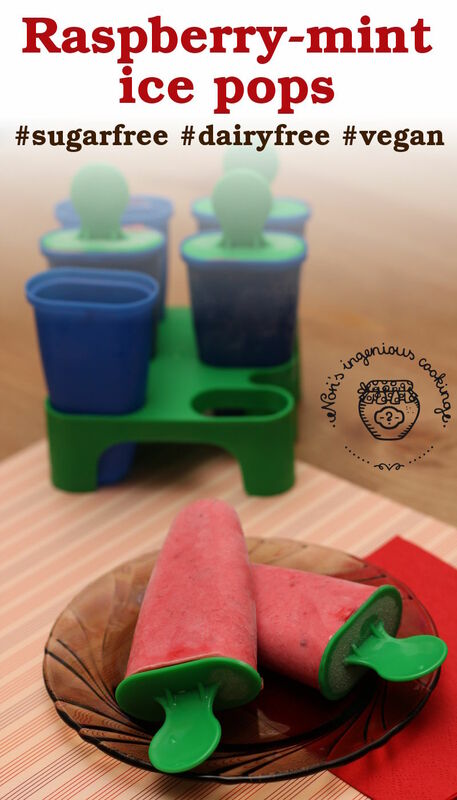 I stumbled across some cute little ice pop molds while shopping and thought: why not? 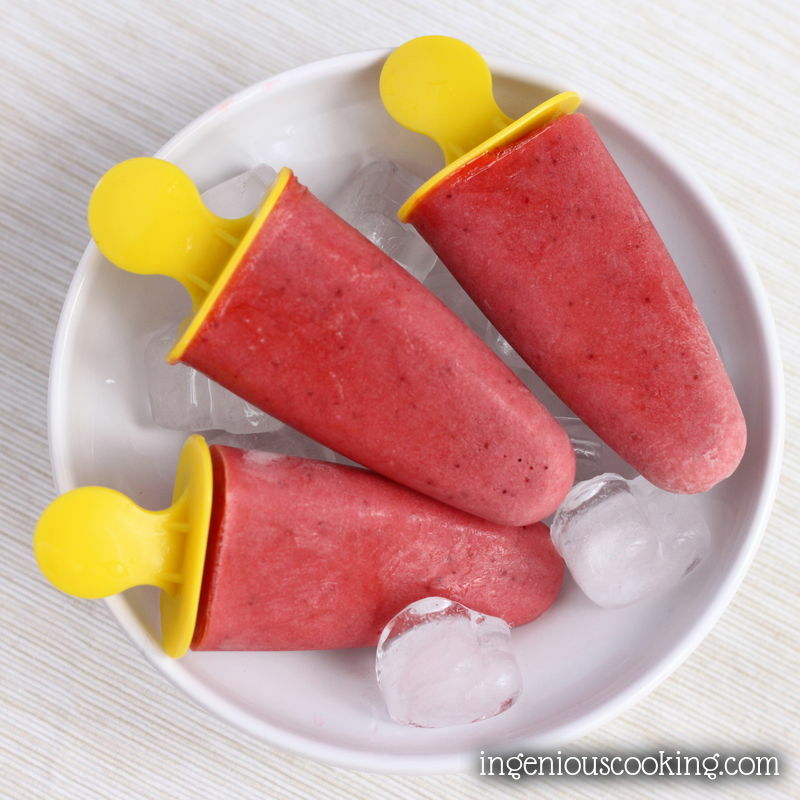 It would be nice to have some cool dessert that is quick&easy to make, and the thought that it’s so low in carbs and just waiting for me in the freezer is also kind of comforting. So, here it comes: in refreshing raspberry-mint flavor this time. 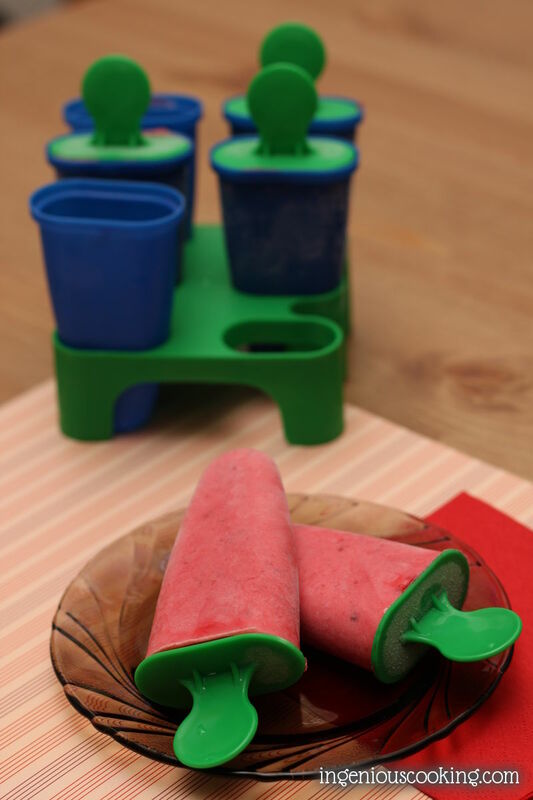 You won’t need an ice cream machine, just a simple blender and plastic molds for these ice pops. 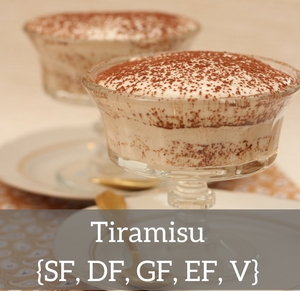 * I used Soyatoo rice cream for this recipe. I like it because it whips up really nice. On the down side, it does contain some cane sugar… I took that into account while counting the carbs. 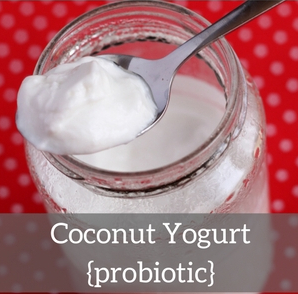 You can also try this with coconut cream: doesn’t whip up that much but is still airy and light, without any carbs. Mix the raspberries and the mint leaves with some rice cream in a blender. Add some erythritol to taste. Whip up the rest of the rice cream: you can add some tapioca starch for a firmer texture. 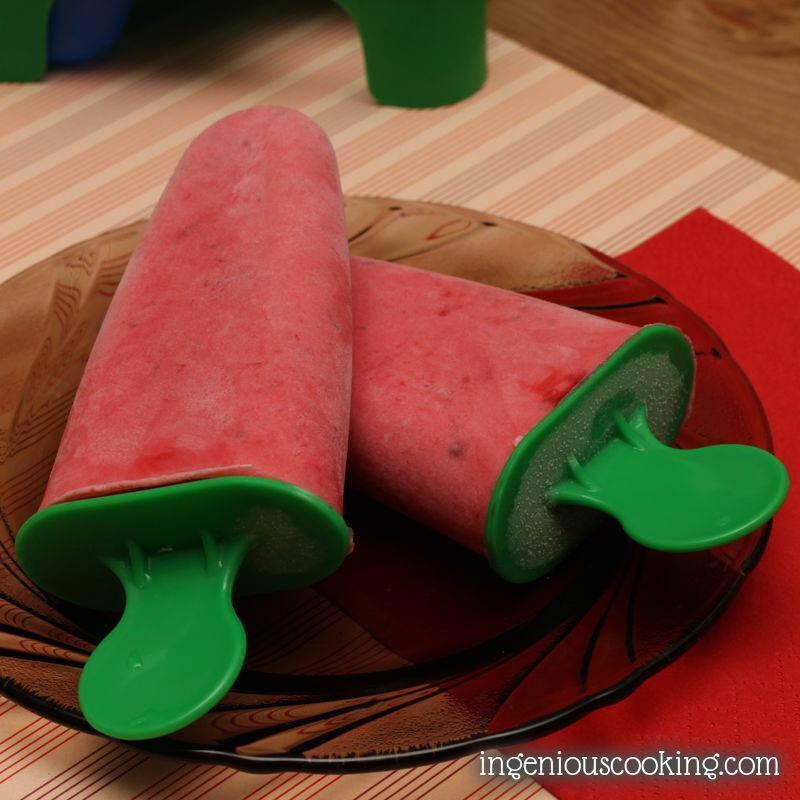 Fold in the whipped rice cream into the fruity mixture, pour it into the ice pop molds and off to the freezer! 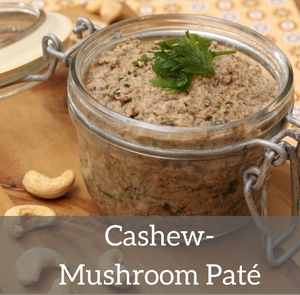 This amount yielded 10 serving for me: I made it on the weekend and we had something guilt-free to indulge in on workday evenings. 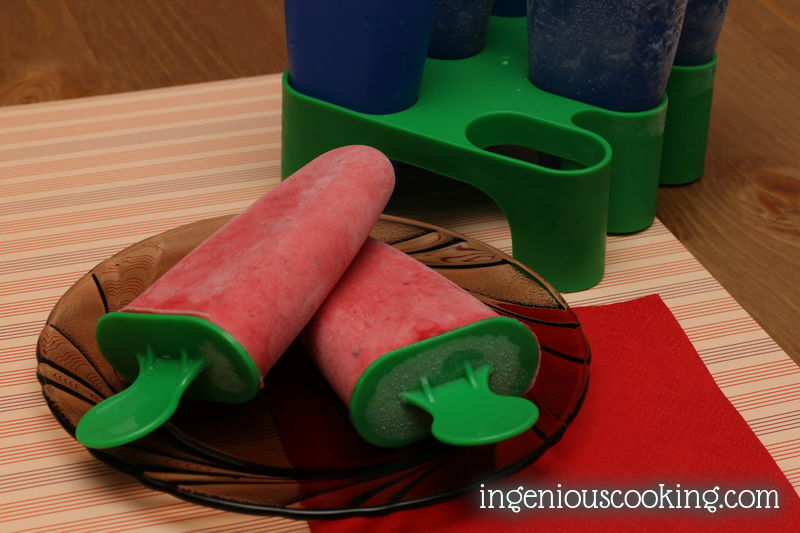 You just have to rinse the molds with some lukewarm water and the ice pops should slip out effortlessly. 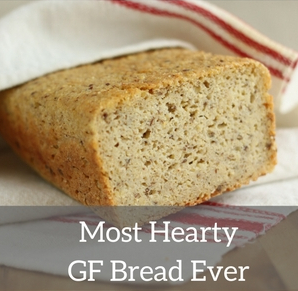 About the carb count: I don’t count erythritol, as it doesn’t elevate blood sugar at all. The rice cream and fruit containe 32g carbs altogether, that makes 6g CH/serving. Enjoy! 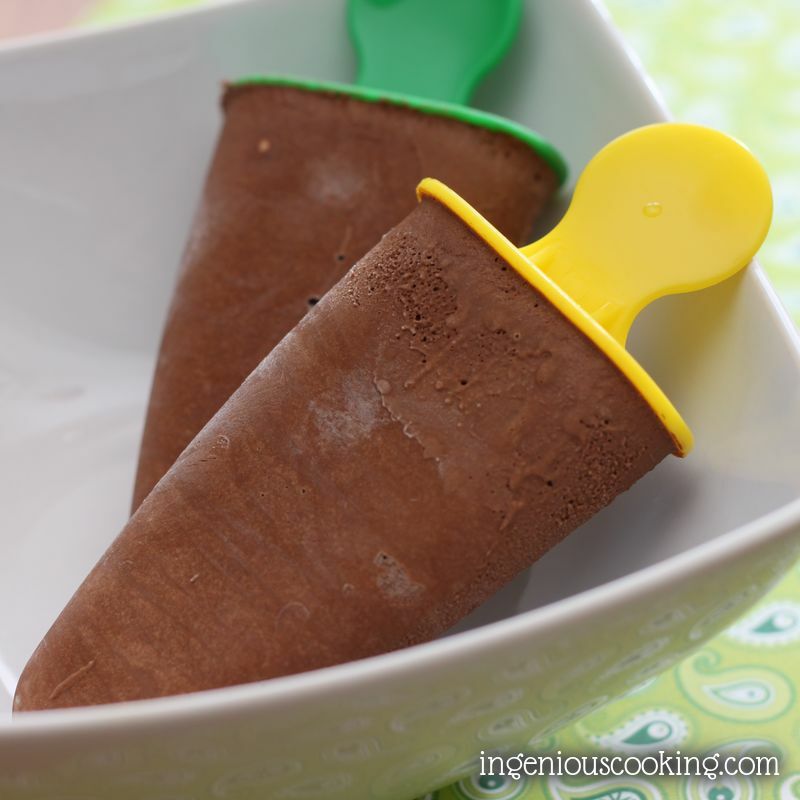 Diet-friendly dark chocolate ice pops Coconut Yogurt Ice Pops with Balsamic Roasted Strawberries Chocolate chip & coffee ice cream (sugarfree, dairy-free, egg-free, vegan and low in carbs) Classic vegan chocolate ice cream: sugarfree, low in carbs and not coconut cream based!